High Quality RGB (Red-Green-Blue) 75-ohm shielded component video cable with gold plated contacts Component video RCA Interconnect provide DVD or TV 1Ghz bandwidth, for optimum picture quality. 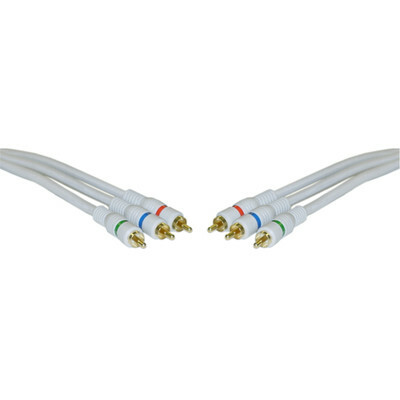 More Product InfoOur high quality 12 foot component cables allow you to maximize your picture quality from an RCA-type connection. In separating the signal into Red Green and Blue (RGB) the purest signal possible is sent to the television. A great choice when connecting DVD/Blu-ray players, cable and satellite receivers, HDTVs and other high-end video components.